A $50,000 to $15,000,000 Revolving Credit Line based on a percentage of your rolling outstanding Accounts Receivable Borrowing Base. Call (877) 703-3090 for a free quote or Apply Online. Your Borrowing Base is your qualified Accounts Receivable which are available to secure the line of credit. On average it is 85% of qualified A/R within 90days of aging. The borrowing base will fluctuate depending on your current receivables. As you make more sales, the borrowing base will increase with it. As you add more accounts, your borrowing base can grow with you. You can draw any amount you wish within the permitted percentage of your current A/R borrowing base. The money is repaid as the funds are received from client payments. At the same time, as you generate new receivables, you can borrow against the receivables generated by new sales. It’s a revolving line process. This is a great option for B2B businesses in manufacturing, wholesale distributors, or business service providers with commercial accounts receivable invoices. Seasonal over-advances will be considered based on industry. We typically issue lines with terms of 1 to 2 years with an annual renewal thereafter. We have several variations on this program to serve a wide range of industries and financial situations. Our standard program will charge a small factor based on the borrowing base amount, as low as 0.35%, plus an interest rate of Prime plus about 1%. Interest rates vary on other programs based on factors including the amount of the line, financial statement of your business, review of payables aging, and strength of your Accounts Receivable, average invoice amount, and other considerations. We have specialty programs that can cater to contractors, offering revolving lines from $50,000 to $1,000,000. This is a great, flexible way to handle capital requirements for seasonal or growing businesses. We will have an underwriter contact you within 2 business hours and can have a proposal issued within 24 hours. Coastal Capital offers many methods finance based on Receivables, Cash Flow, Order Volume, Inventory and other Asset Based Lending. Browse through the links below for additional specialty programs to suit your needs. 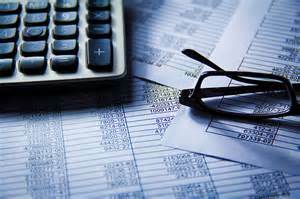 To learn more about Coastal Capital Group Accounts Receivable Finance programs CLICK HERE. To learn more about Coastal Capital Group Contractors Accounts Receivable Finance programs CLICK HERE. To learn more about Coastal Capital Group Medical Accounts Receivable Finance programs CLICK HERE. To learn more about Coastal Capital Group Purchase Order Finance programs CLICK HERE. To learn more about Coastal Capital Group Inventory Finance programs CLICK HERE.